Obsessive Compulsive Disorder, or “OCD,” is characterized by persistent, recurring intrusive thoughts, images or impulses (known as “obsessions”). The intrusive thoughts cause psychological and emotional distress, and often lead to the development of behavioural rituals (called “compulsions”) that provide a short-term feeling of relief from those obsessions. The relief someone experiences after performing the rituals is almost always temporary and it is not long before the same intrusive ideas return or new intrusive thoughts or images are present. The intrusive thoughts or images are not simply excessive worries about the current life difficulties that one might be facing such as financial issues, work related problems or social stressors. Compulsions are repetitive behaviours or mental acts that a person feels driven to perform in response to a recurrent intrusive image or thought to experience some form of relief or prevent a dreaded outcome. Compulsions may be related to an obsession (e.g., hand washing for someone that has intrusive thoughts about being contaminated with germs and contracting an illness). While, other compulsions may be mental acts such as internal repetitions (e.g., phrases, words), counting (e.g., numbers, letters, other items in the environment). People often report engaging in mental acts in an attempt to suppress or neutralize a “bad” thought. People experiencing intrusive thoughts and images recognize that the obsessions or compulsions are excessive or seem unreasonable. It is not uncommon for people with OCD to say “this does not make any sense but this thought or image keeps on coming up for me”. The intrusive thoughts create significant anxiety and as a result people seem compelled to engage in mental acts or behavioral rituals. However, engaging in compulsions can be distressing can often create significant interference in a one’s daily routine, relationships with others, social and work activities. 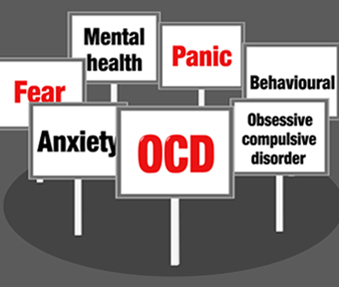 Although living with OCD can be a challenge, an effective treatment for obsessions and compulsions is a form of Cognitive Behaviour Therapy (CBT), know as Exposure and Response Prevention. Taking the first step towards seeking help for your OCD can be challenging. In particular, speaking to a psychologist may seem daunting but rest assured Dr. Ahmed & associates provide a supportive, collaborative, and non-judgmental environment so that you can feel comfortable expressing your concerns. Dr. Ahmed & associates provide their clients with services that are customized based on the goals they are hoping to achieve from the sessions. Their approach to psychological interventions relies on scientific-based approaches such as CBT, exposure and response prevention, mindfulness, motivational interviewing, schema focused therapy and client focused therapy. Participating in psychological services can help you learn strategies to manage your intrusive thoughts and associated compulsions. If you find that you’re struggling with intrusive thoughts, images or impulses and want to learn more about available treatment options, contact Dr. Ahmed & associates for a consultation and inquire further about the process.